Your friendly neighborhood hero Spider-Man is coming to Manila – live in person! 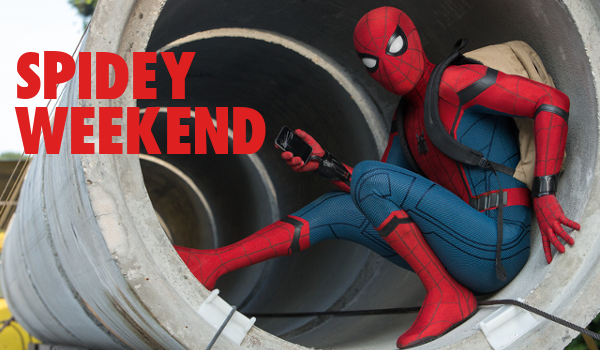 Columbia Pictures has announced today that Spidey will be in town this Saturday and Sunday, June 10 and 11, to make live public appearances and engage with fans. It will be a weekend of pure Spider-Man mania as fans will have rare opportunity to take photos and have selfies with their web-slinging hero. First, Spider-Man will drop by the ABS-CBN studios in Quezon City on June 10 for a live TV guesting in the hit noontime program, It's Showtime. Right after, Spider-Man will be at the SM Megamall Fashion Hall in the afternoon for a Meet and Greet with fans. 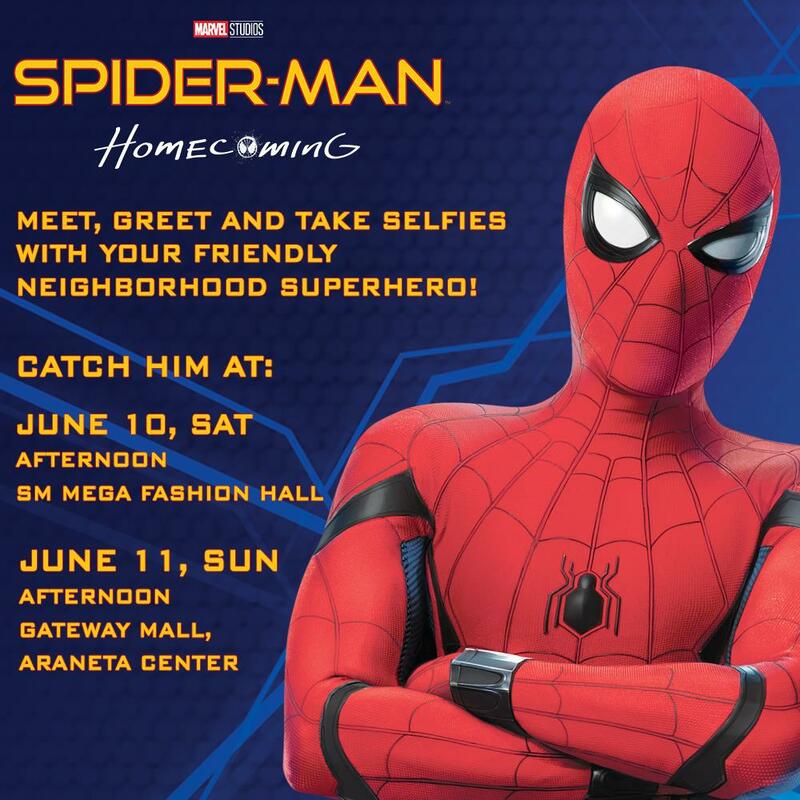 Then on Sunday afternoon, June 11, Spider-Man will swing to Gateway Mall in Araneta Center for another Meet and Greet session. The Spider-Man character visit is in conjunction with the release of Spider-Man: Homecoming, which opens in Philippine cinemas on July 6.